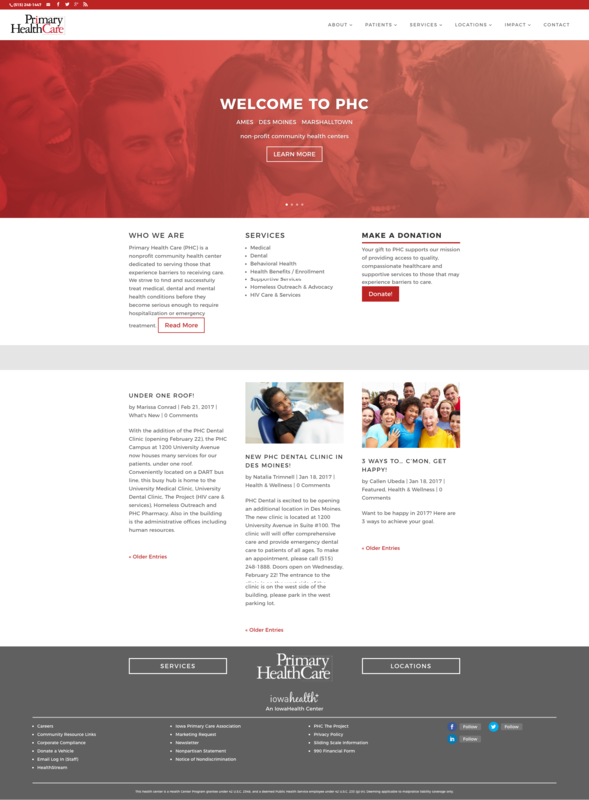 I was tasked with leading the strategy, design, and execution for one one of our clients, Primary Healthcare Inc. The intial project was to redesign a single page micro-site, PHCTheProject.org. 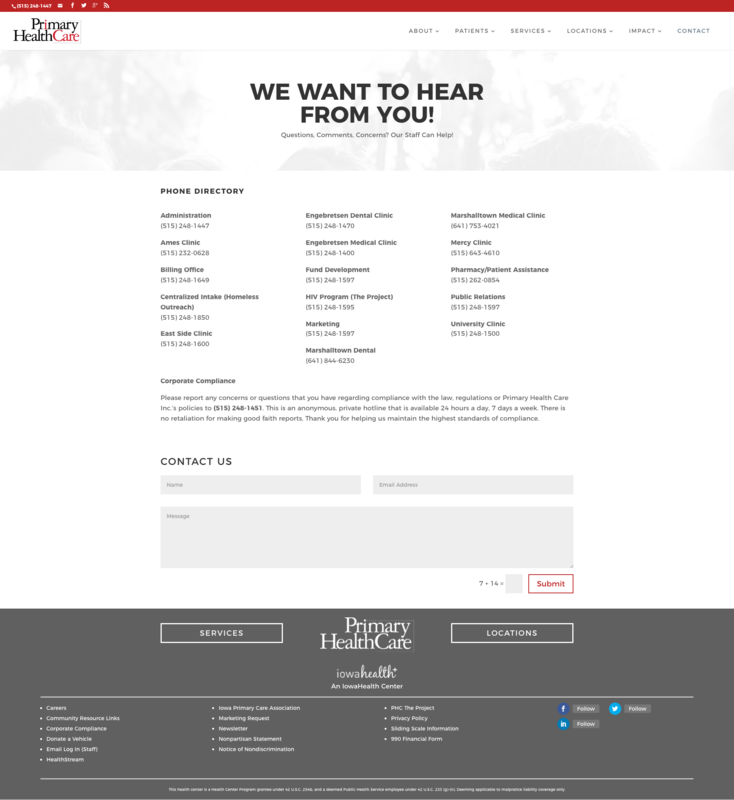 The success brought to this redesign allowed the client to entrust me with their next project which was a redesign of their entire Primary Healthcare Inc website. Throughout the work of both sites I was constantly getting feedback from my team members at Mittera as well as the client to ensure everything from initial site mapping, to user personas, to design mockups and execution were all on par with quality expectations via timely iterations.